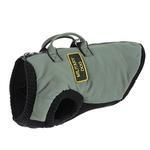 Your dog will be ready for the trenches in the Gooby Military Dog Vest in Green! This great dog vest is a step-in harness style dog vest. 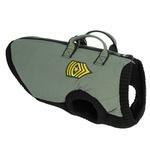 The zipper closure makes it super easy to get on and off your pup. 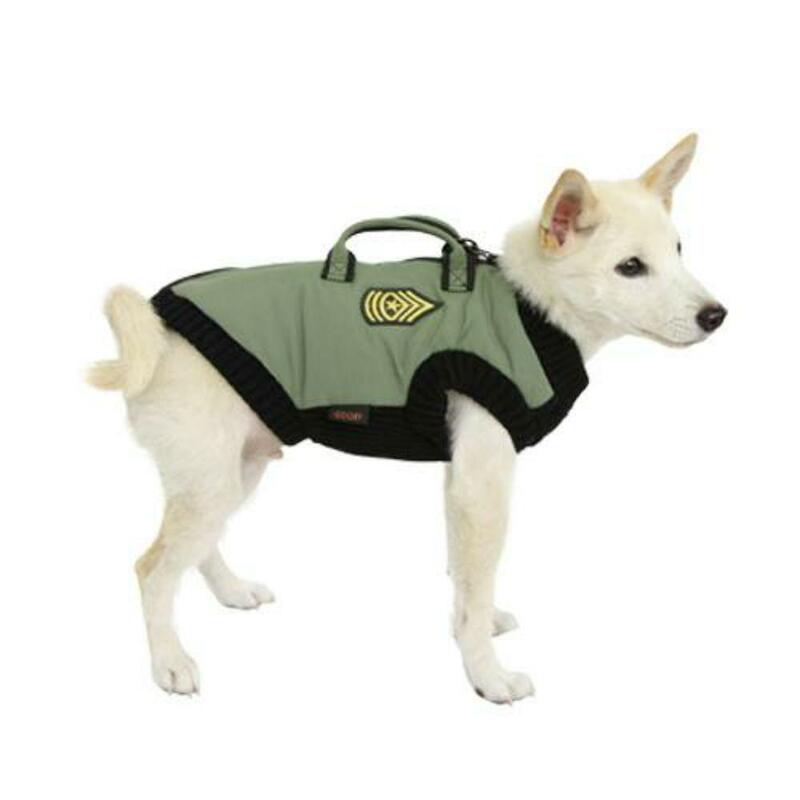 The Gooby Military Dog Vest is fleece lined to keep your dog warm and cozy and the chest is stretchable making it perfect for broad chested dogs. The double D-rings are attached at the control handles on the back. 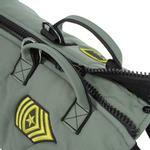 This dog vest has decorative military patches and is machine washable. X-Small: Chest 10", Neck 8", Length 8"
Small: Chest 12", Neck 10.5", Length 10"
Medium: Chest 14", Neck 12", Length 11.5"
Large: Chest 17", Neck 14", Length 14"
X-Large: Chest 20", Neck 17", Length 15"